Paul Miller Racing has its sights set on repeating it’s 2018 12 Hours of Sebring victory when the Lamborghini Huracán GT3 EVO squad heads to the historic Florida venue this weekend. In a thrilling battle that came down to the checked flag, Paul Miller Racing not only won the 2018 edition of the historic endurance race, but the race became part of a five-race podium streak for the team. Paul Miller Racing went on take the IMSA WeatherTech SportsCar Championship GTD class championship last season. Last year’s GTD title winner Bryan Sellers returns in 2019 and will be joined this week by fellow Sebring winner Corey Lewis. 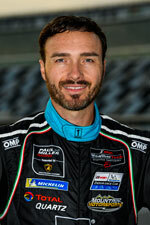 Sellers’ full-time teammate for 2019 is last year’s Super Trofeo World Finals AM champion, Ryan Hardwick. 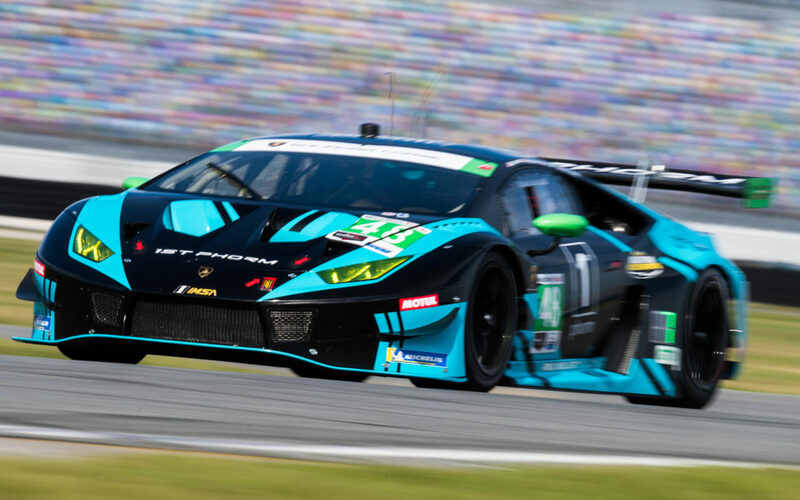 In preparation for their Sebring victory defense, the team tested its Lamborghini Huracán GT3 EVO at the famously rough Sebring course last month which marked Hardwick’s first laps on the circuit. 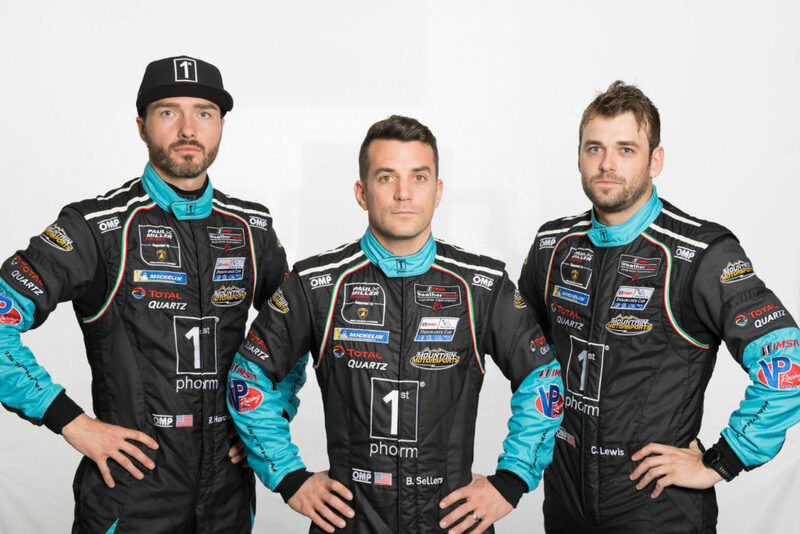 The14-hour test garnered great experience for Hardwick and the 1st Phorm-sponsored team. The race marks what is known as the 36-hours of Florida, with the season-opening Rolex 24 Hours of Daytona kicking off this year’s series in late January. Unfortunately, in soaking rain after 19 hours, the Paul Miller Racing Lamborghini was eliminated after other cars clashed in front of the No.48 on a restart. “Sebring is such a brutal race in so many ways; tough on equipment, drivers and teams and difficult conditions throughout,” said team founder and former racer Paul Miller. Paul Miller Racing will hit the track for the first time on Thursday for the first practice at 9:45 am. Qualifying for the GTD class is scheduled for Friday at 9:55 am. Saturday’s 67th running of the 12 Hours of Sebring begins at 10:40 am. 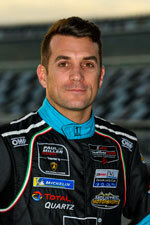 “Sebring is an incredible event, it’s my favorite on our schedule, and quite possibly my favorite of all time. “Last year we were able to achieve our goal of winning this race. This year we do have a slightly different driver line up, but fortunately the same mindset between all of us, and that is to go in, work hard, and execute. “We had a great initial test, and everyone did a great job. We also have the strength of returning our same crew. “After my first test here, I clearly understand why many people consider Sebring the most challenging endurance race in North America! 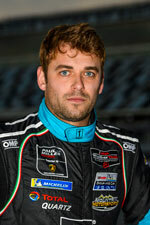 “I’ve got two things in mind heading into my first Sebring 12 Hour. First is a ton of respect for this track and all the drivers and teams who have won here in the past. “Secondly, I have a lot of confidence in our team’s knowledge, experience and proven ability to win here. I’m looking forward to this race. “Daytona’s result itself wasn’t ideal, but the way I see Daytona was still very positive. Our car was very fast throughout the race, we didn’t have any mechanical failures, and our pit stops were flawless. “Our 1st Phorm Lamborghini has always been strong at Sebring. We know what the car needs and what it takes to get the job done to win the race.